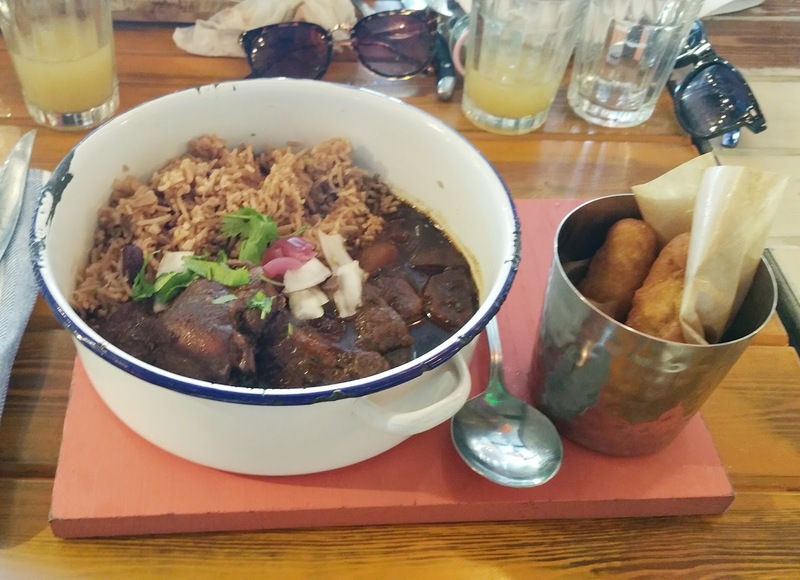 Hands up if you love Caribbean food?, in my personal opinion no one cooks it better than my Grandma oh and my Mum of course. 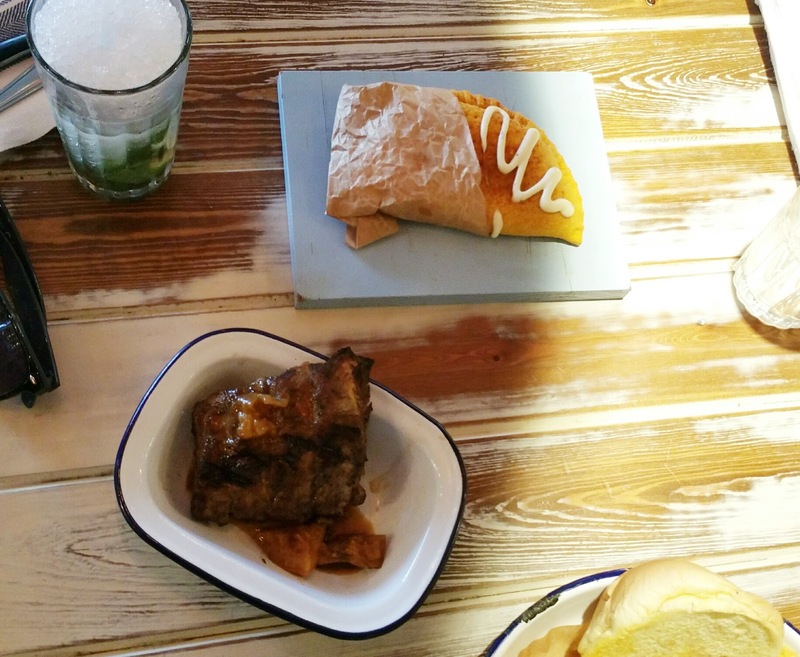 A friend informed me that Turtle Bay had opened in Walthamstow, which is part of the new cinema complex at the top of the High street and I knew I needed to go and check it out. A short walk from Walthamstow station, you will find brightly coloured Turtle Bay. 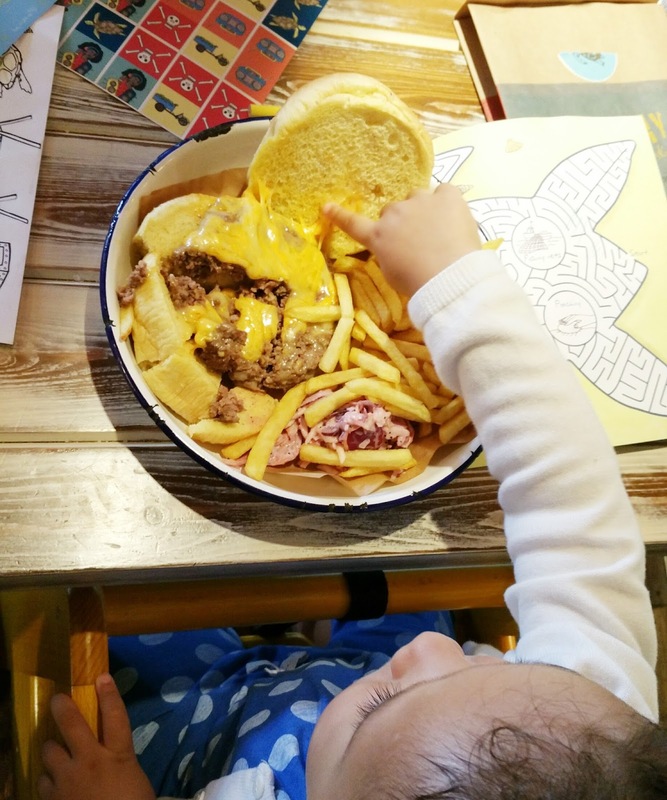 T and I have a little tradition that we take Darcy out for lunch once a month, catch up and have some family time. 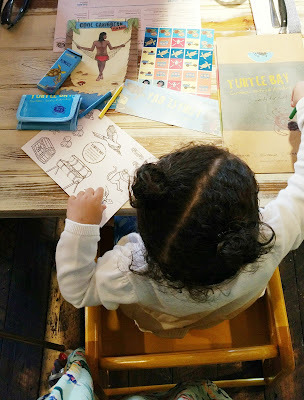 Turtle Bay has such a great vibe, we went about 1pm and the restaurant was very busy. 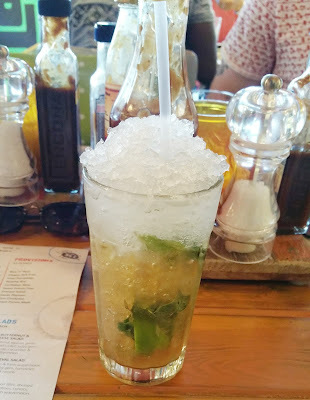 We sat down and had a cheeky Mojito Cocktail as they were 2 for 1, whilst we browse the menu listening to some soca and reggae in the background. For our starters we decided to share a Beef Patty and some ribs, to quote T “the patty was to die for man”. In all honestly it was rather nice with the right amount of spice and the ribs were soft and just fell of the bone. 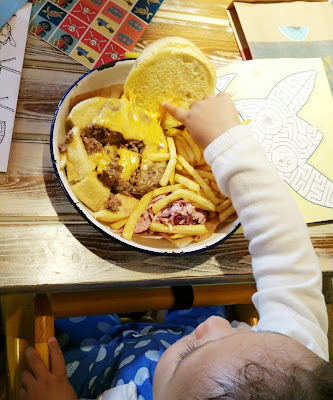 For our mains I opted to get Darcy a cheese burger from the childrens menu which she shared with T as it was massive, T choose the jerk salmon and I went for one of my favourite dishes my grandma makes brown chicken stew. 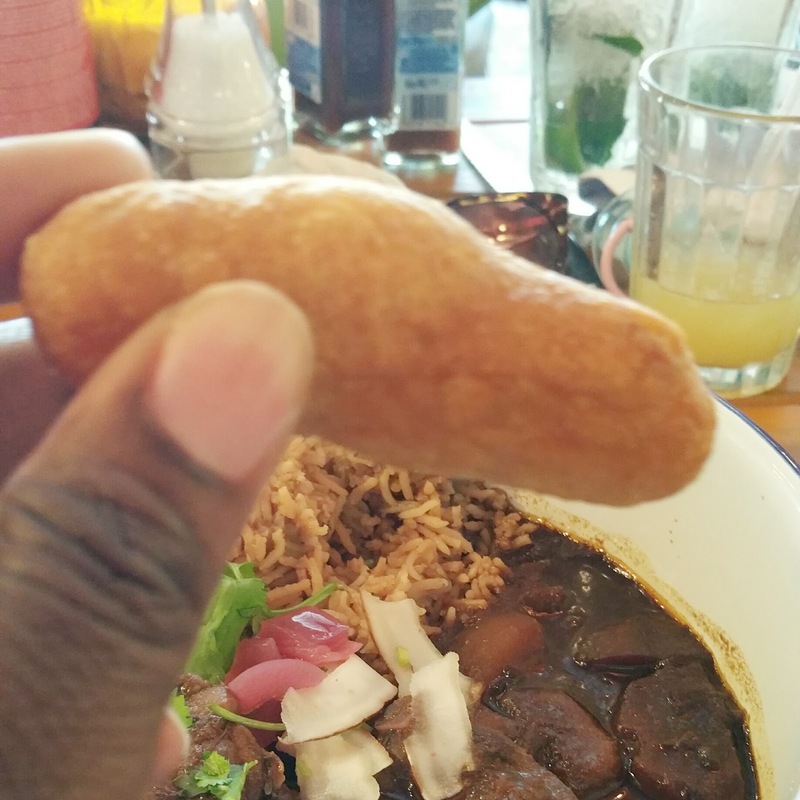 My brown chicken stew was delicious, it also came with fried dumplings which I love love love!. 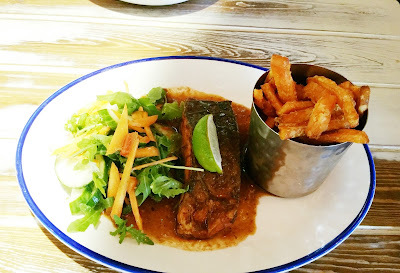 T enjoyed his salmon and I have to say the sweet potato fries which came with his dish were the best I’ve ever tasted, even Darcy kept reaching over the table to help herself to them. 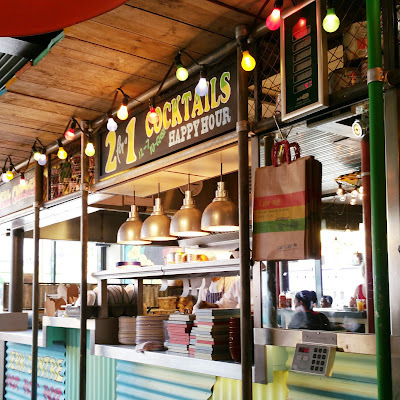 I love the fact that they have a open kitchen, it's fun to see the hustle and bustle of the kitchen and all the yummy food being cooked. 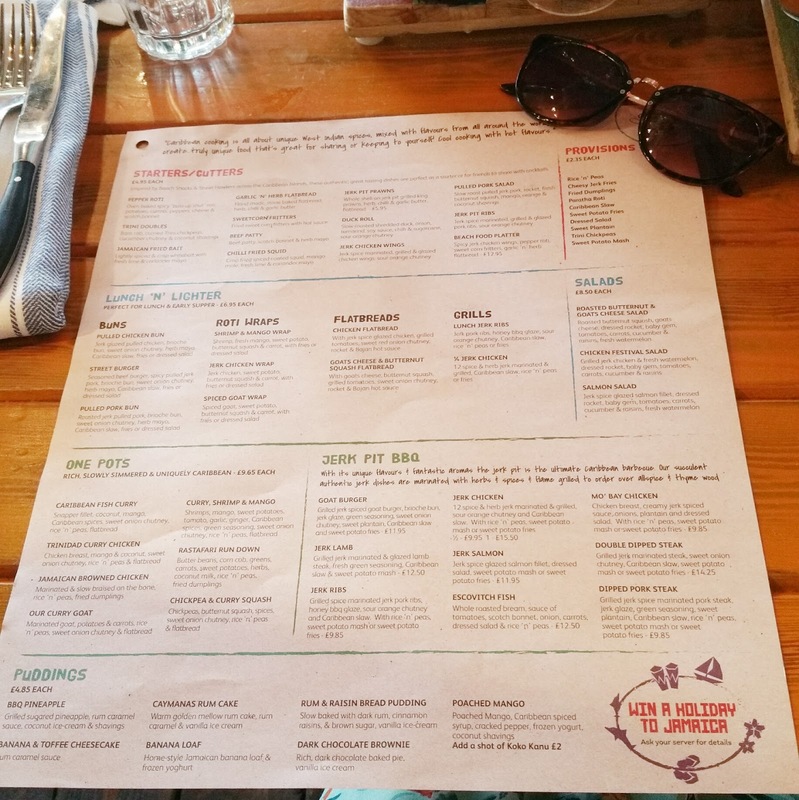 I was so impressed with the food that I called my mum and asked her if she wanted anything from the take away menu. She choose a Chicken Roti Wrap and T couldn’t leave without another patty. You also get 10% off if you order off the click & collect menu. Turtle Bay is very child friendly, plenty of room to park buggies, step free access and a roomy changing room. The staff we’re great with Darcy, I was also really impressed with their children activity pack. I can’t say anything bad about the place, the food was well cooked and the staff were friendly and attentive. 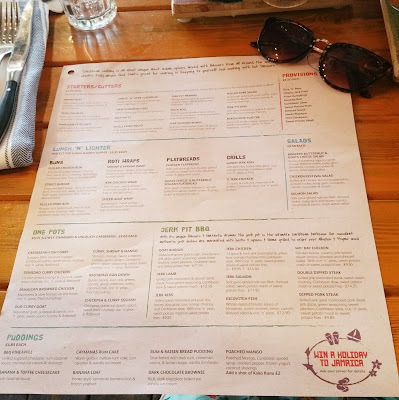 Our only regret was that we didn’t stay and have dessert as there were a few that caught our eye on the menu. I cannot wait till my next visit to Turtle Bay. 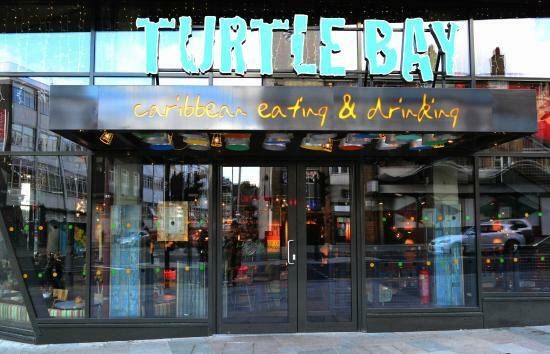 Ah we got a Turtle Bay in Brum last year and I love the place - especially the 2 for 1 cocktails! It's always a nightmare to try and book a table though as it's always so busy!